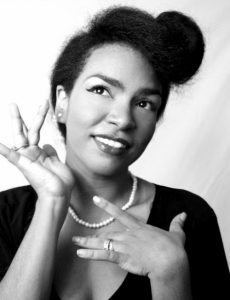 Zahira Kelly-Cabrera aka @Bad_Dominicana is an AfroDominicana mami, writer, artist (some may say ‘social media personality’), mujerista, award-winning sociocultural critic, and international speaker. Known for advocating for LatiNegra visibility and rights on social media, and unfiltered social critique, broken down in accessible language. Born in NYC and raised between Puerto Plata, Dominican Republic and the Bronx, by her mother who is a creative renaissance woman. She co-hosted the Afrolatino Festival 2017 Concert and is a TEDx Women-Mexico City speaker. She has done speaking events, keynotes, workshops, panels and lectures at Columbia University, U Penn, Brown University, NYU, Emory, Sarah Lawrence College, National Dominican Student Conference, Pitchwise Festival- Sarajevo, The New School, The smART Leaders Teen Summit- NYC, The MLA conference, Naked Heart Festival- Toronto, Afrolatino Festival- NYC, Tecnologico de Monterrey- Mexico, among others. She writes what many call a very candid advice column at TheNewInquiry.com and is creator and author of Bad-Dominicana, an AfroLatina feminist blog and twitter with a large, constantly growing following comprised of everyone from editors of major publications and scholars to teenage girls. The internationally trending hashtags #MaybeHeDoesntHitYou and its spanish language version #QuizaNoTePegue on how gendered non-physical abuse manifests in daily life were also authored by her. They lent a voice to tens of thousands of women sharing their stories and experiences with abuse across twitter, facebook and instagram. This led to her TEDx talk in Mexico on the subject, as well. She has been featured in a number of publications such as The New York Times, Latina, Complex, The Fader, Vibe, Cosmopolitan, Time, BBC, and many more for her sociocultural analysis and art. In her writing, dynamic use of social media, and at speaking events she employs Indigenous style storytelling, no holds barred analysis of abuse culture, colonialism, social power dynamics and critique of media and pop culture. She aims to pick apart white supremacist capitalist hetero-patriarchy from an anticolonial AfroLatina perspective. With gratitude, she has accepted an Advocacy and Leadership award at Afrolatino Festival 2017, an #AfrolatinasWhoRock award for being an Afrolatina revolutionizing the world around her from aintilatina.com in October 2015, and an ‘¡Ahora! award’ for commitment to organizing and demonstrating the necessity for ethnic studies as a praxis for a better future en la comunidad, from Northwestern University’s Alianza and Latina and Latino Studies Program in May 2016. Her visual art is dedicated to highlighting AfroLatina and Women of Colors beauty and very much tied to her writing. It has been exhibited at the Institute of Contemporary Art in Boston, among other galleries and publications. She traverses many mediums: watercolor, photography, pencil illustration, oils, acrylics, animation, digital painting and often mix them together. In her images she reexamines her bicultural upbringing, Indigenous displacement and neocolonial marginalized womanhood as well as concepts of fragility historically denied to lower class women of Afro-Descent. In her retro pinup inspired art she materialize women rendered invisible by an era and society that only prized middle to upper class white womanhood and beauty as a paragon of femininity.